With over 1.7 billion active users, Facebook has become one of the best social media marketing platforms over the years. 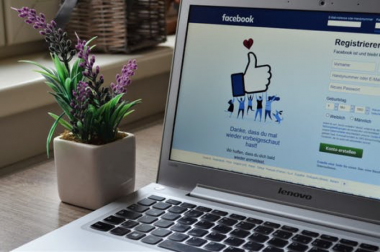 Some marketers have been able to use their Facebook profiles to advertise their businesses and generate sales, while others mainly use Facebook to generate traffic for their blogs and websites. Both approaches work, but anybody who has spent any amount of time on social media in the last decade or so can tell you that Facebook can change quickly, and those changes call for new approaches to marketing. One of the biggest changes to come along on Facebook recently is the introduction of Facebook Live. For the uninitiated, Facebook Live is the ability to stream live video onto your Facebook wall. You might have even seen this when you’ve gone to your own feed and seen that someone is “live right now.” It’s a fun way to communicate with your friends and followers in real time and keep them updated on what you’re doing at any given moment. It was first launched in 2015 to a limited audience of VIP users, and it was publicly launched for the iOS and other platforms in 2016. It allows users to use the cameras on their phones as well as standard webcams and even drone cameras to stream footage. It also supports live commenting, filters, video mirroring, and anything else you could want while you stream video live. Facebook Live is also very easy to use from Facebook’s mobile app. All you need to do is give the app permission to use your mobile device to record video, select the “Live” icon on the top of the app’s homescreen, write a description for your video, and you can start streaming. Streams were originally limited to just 30 minutes, but now you can stream for hours if you wish. If you have your own blog, you’re probably used to sharing new posts and promoting them on Facebook already, but Facebook Live allows you to do so much more than you could before. First of all, since Facebook Live allows your followers to react to your video and post comments while you stream. This is about as close as you can get to interacting with your audience directly without actually speaking to them in person, so take the opportunity to ask them what kind of content they want to see on your blog. You can ask for topics for future posts, ask questions that your followers want answered, or find out more about what your readers think about your own brand. This allows you to create more targeted content for your readers, which can go a long way towards getting those particular readers excited about your upcoming blog posts. Keep in mind that you cannot please everybody; it’s great to be able to take requests and target some of your content, but you need to know where to draw the line. Try to keep a healthy balance between targeted content based on requests and things that you want to write about. Even if you’re not taking requests for future blog posts, you can still use Facebook Live streams to promote upcoming content. A good blogger has at least a few posts that are ready to go live at any time, so you should know in advance what your upcoming content will be. You can use your streams to generate interest in your next few posts, or you can use the comments that you receive to gain some insight into how interested your readers will be in what you have to say on your blog. This is a different approach to what bloggers used to do, which was to publish content and then promote it, but it’s a perfect example of how things have changed on social media and the blogosphere over the years. Since you’re already streaming to your Facebook followers and friends, you can also use Facebook live to interview some powerful influencers. The Internet has made this easier than ever before; all you need is to know an influencer who can stream a video alongside your own content. Once again, this is a major step up from how bloggers have featured influencers and other guests in the past, which mostly consisted of the occasional guest post. While you can still invite guests to post on your own blog, a Facebook Live interview might seem more authentic and organic to your followers. They will be able to see that you are actually interviewing this important person, and they can see how they interact with you. It feels more personal, which is what we all need in the age of social media. Finally, Facebook Live allows you to use upgrades to gain more followers. You’ve probably seen some content upgrades on other marketing blogs, but while those are effective, they do require some work on the part of the blogger to be effective. Meanwhile, Facebook Live upgrades require almost no work on your part. All you need is to create a landing page and add a WordPress plugin to the comments section of your live stream. It’s incredibly simple, but it’s also an effective way to grow your email list. 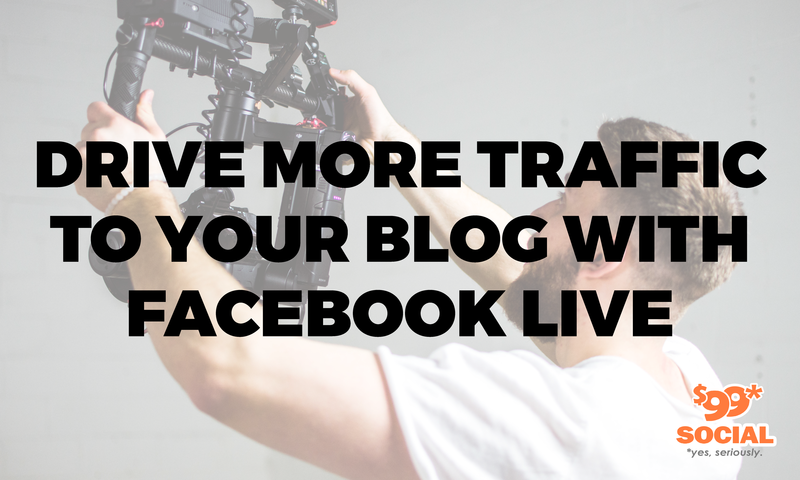 As effective as Facebook Live can be in attracting traffic to your blog, it still doesn’t do you a lot of good if you don’t keep up on your own blogging efforts. Streaming video to your followers and friends is fun, but it shouldn’t be at the expense of your regular content. 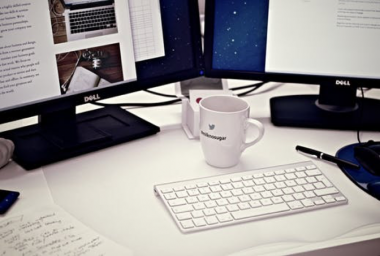 Keep up with your blogging schedule, preferably by writing a few posts in advance and scheduling them to go live, and use your Facebook Live streams to supplement your blog’s content. No matter what kind of blog you have or what you hope to accomplish, always remember that content is king. Have fun with your live streams and keep using them to grow your audience, but don’t forget what attracted your followers to you and your blog in the first place.